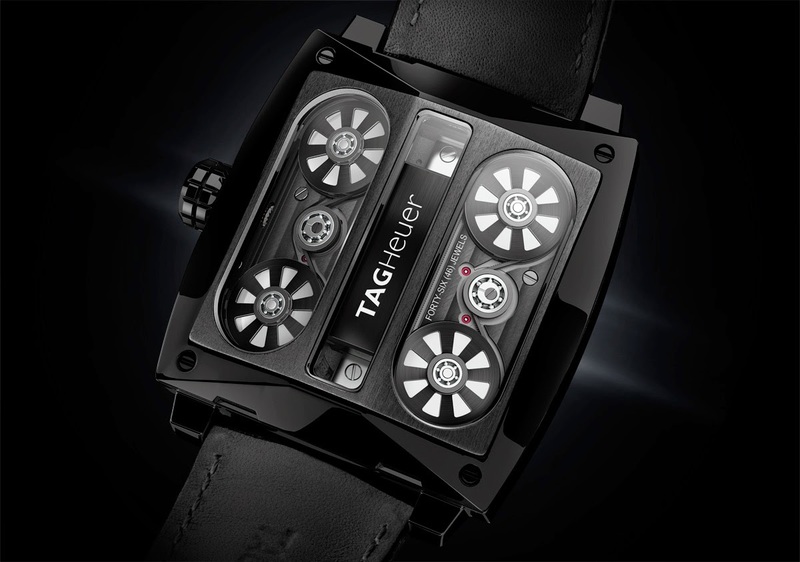 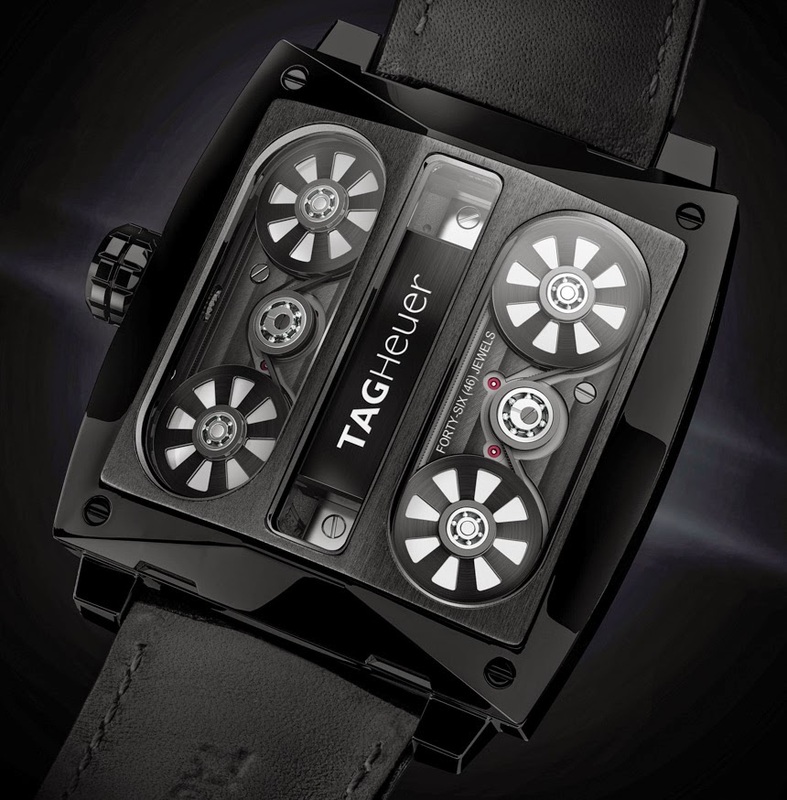 [ #inspiration #Watch #Timepieces #TagHeuer ]In 2004, TAG Heuer changed the course of watchmaking by unveiling the Monaco V4 Concept Watch, the world’s first watch with belt drives, linear mass and ball bearings. 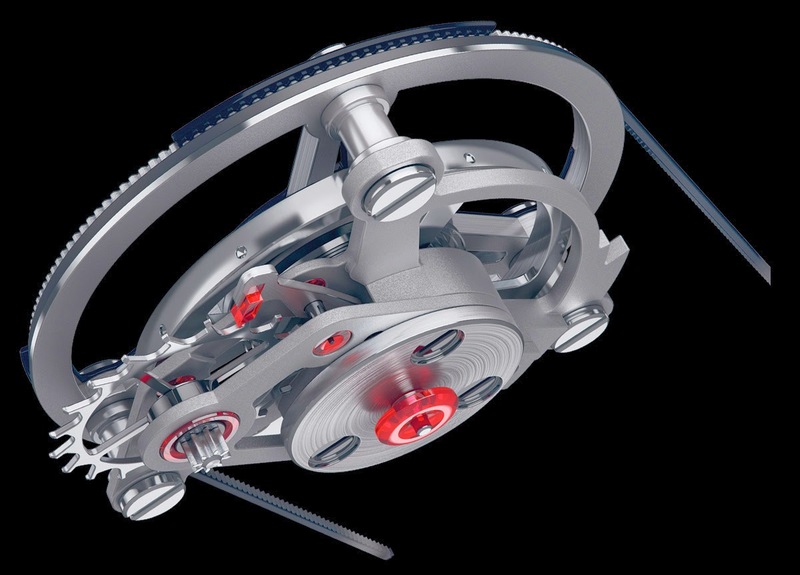 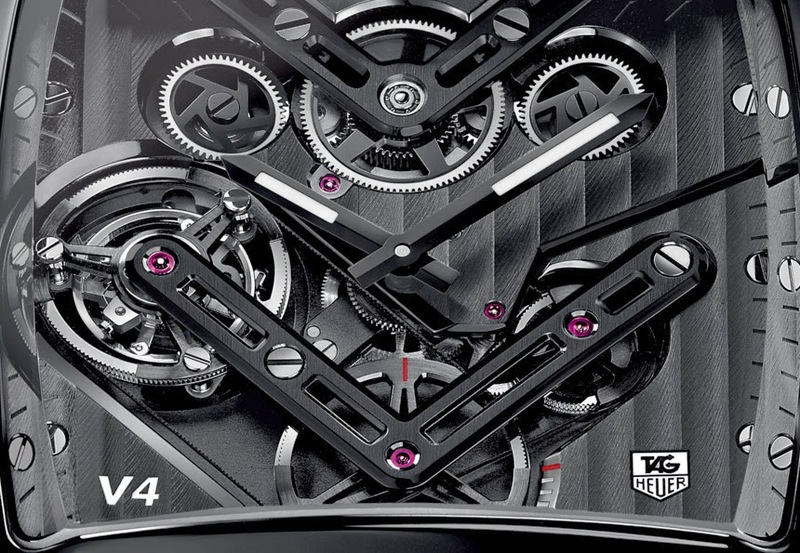 The V4 name derived from the V-shaped main plate on which the movement's four barrels are mounted: the 2-by-2 belt series on ball bearings are angled at +/-13 degrees, and look like the cylinders in a Formula 1 motor-racing engine. 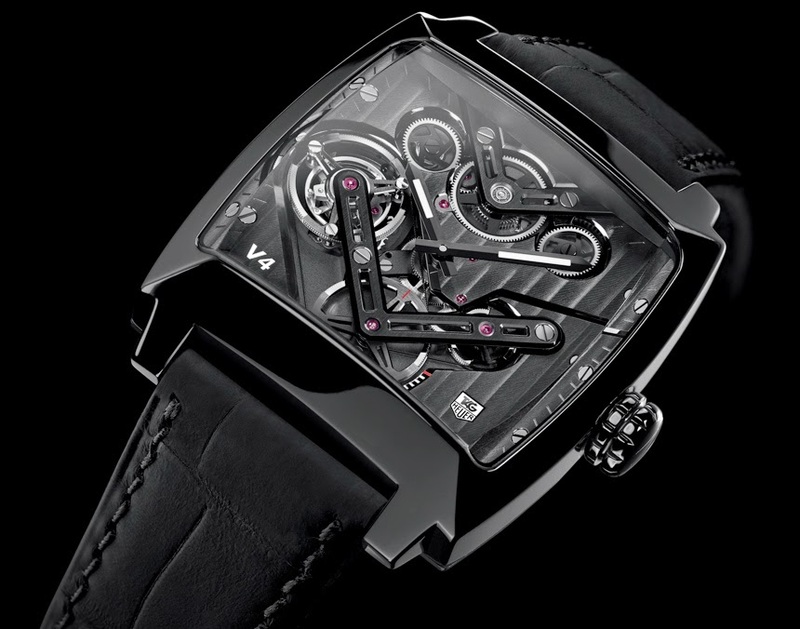 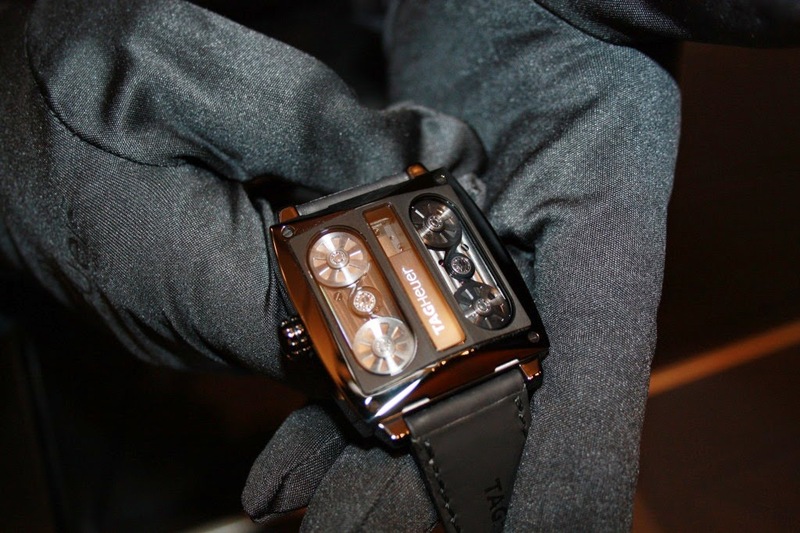 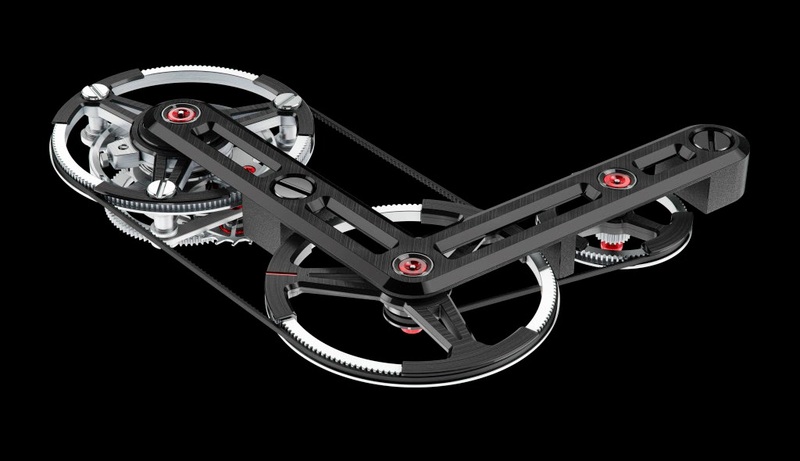 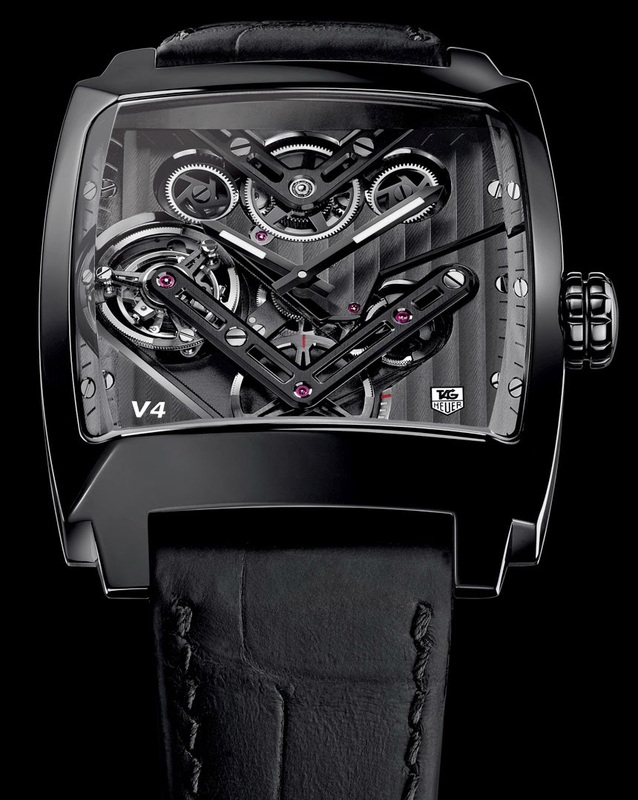 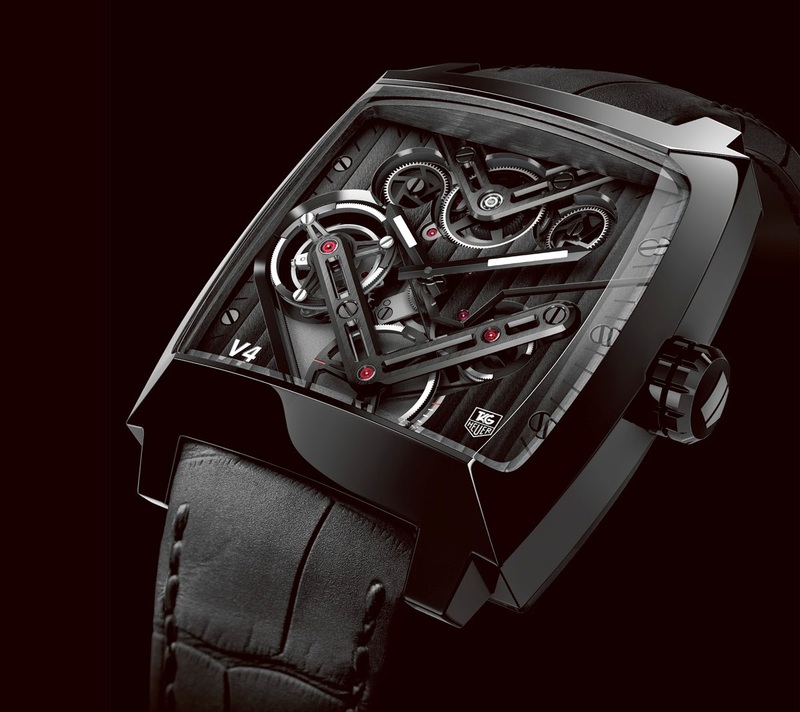 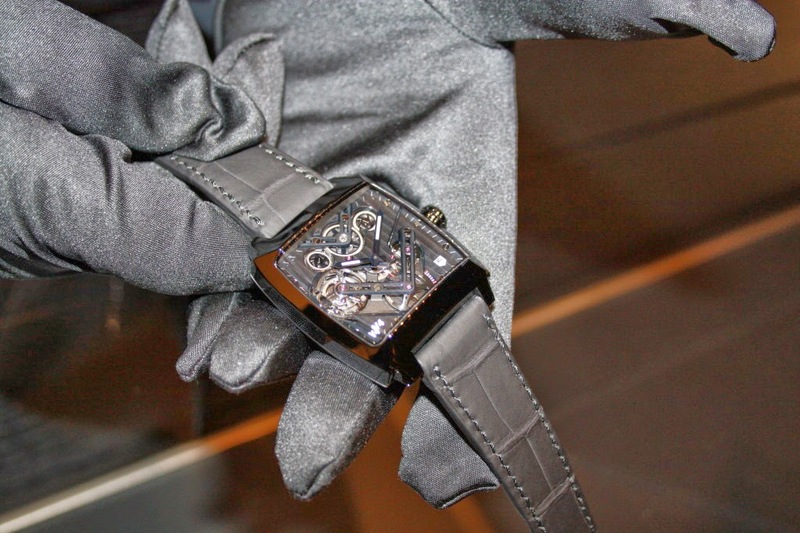 Limited to 50 pieces, the Monaco V4 Tourbillon will retail for 150,000 Swiss francs, which is equivalent to US$169,000.